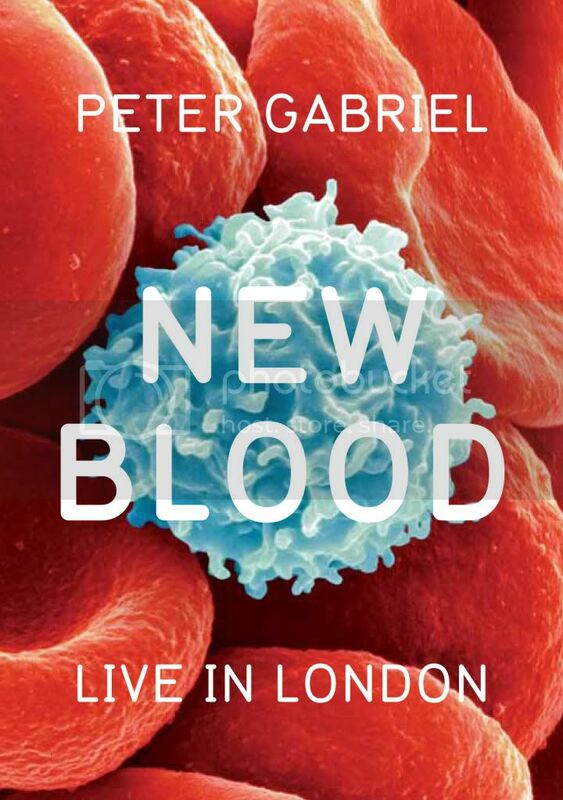 Peter Gabriel will be among the first artists to enter the 3D home video realm when he releases New Blood - Live In London on October 25. New Blood will be issued on 3D Blu-ray, Blu-ray, and standard definition DVD. Gabriel filmed this performance at the Hammersmith Apollo in London backed by a 46-piece orchestra. The set list mixes classic hits from throughout his solo career along with covers he recorded for his most recent studio album Scratch My Back. I remember how groundbreaking Gabriel's Secret World Live tour (captured at the time on VHS) seemed to me when it was released and as a longtime Gabriel admirer, I'm looking forward to seeing this one. I don't have the 3D setup at home because I still haven't gotten past the whole having to where glasses thing but I'll be putting myself down for a Blu-ray copy of this set when it emerges. As with any artist of his stature, it's easy to look at the set list of this DVD and bemoan the exclusion of one song or another but it feels like he aimed this set at me. "Washing Of THe Water" is an underrated, devastating gem from his Us album and I've always loved "Digging In The Dirt" from that same album. Before the film is released on the litany of DVD formats, it will be screened in select theaters in September.